Walking in the woods, or even in your neighborhood in the Pacific NW and you will discover one of the dominant plants is the sword fern. This is my interpretation of it…mid-century modern if you will. 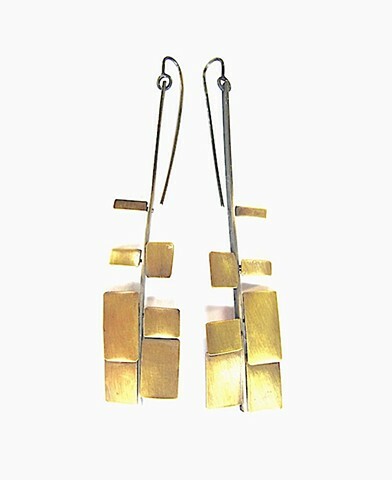 An earring with rich patinas and sway; oxidized silver and brass.